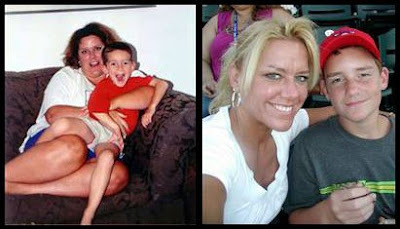 A Junk-Foodaholic's Journey to a Healthy Lifestyle: Sheri Harkness Lost 127 Pounds! And this 39 year old administrative assistant from Stroudsburg, PA did it in only 18 months! Sheri started out weighing 282 pounds but after changing her diet and exercising 4 to 6 days per week, she lost 127 pounds and now weighs a svelte 155 pounds! I think she deserves a hearty round of applause, don't you? She looks great. “I grew up with the ‘eat everything on your plate or there will be no dessert’ mentality.” Most things seemed to revolve around food in Sheri's home, and it was regarded as a constant source of joy and excitement. When Sheri got married in 1994, she weighed 220 pounds. After giving birth to two boys, her sedentary lifestyle along with her poor eating habits, led to a gradual weight gain over the years. 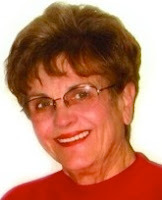 In March of 2007, Sheri went to see her doctor for a routine physical. Her doctor told her that not only did she weigh 282 pounds, but her blood pressure was elevated as well. Sheri was told that if she couldn’t get her blood pressure down, she would be put on medication. Sheri was only 38 years old and this news devastated her. Sheri slowly but surely made the commitment to change – not only for her self-esteem, but also for her family. “It was more of a subtle dimmer switch that gradually brightened with each passing day,” she said. With careful guidance from her sister, a fitness trainer, Sheri began walking on a treadmill for 15 minutes at 3.1 miles per hour, three days a week. Although winded and exhausted during the first three months, Sheri did not give up. Gradually, she worked her way up to 3.6 miles per hour for 20 minutes, then started weight training three days a week. As for her diet, Sheri continued eating what she normally ate but she cut her portions in half and also eliminated soda from her diet. After the first six months, Sheri began viewing food as fuel and incorporated fruits and vegetables into her diet along with lean meats and fish. By sticking to a better diet and going to the gym on a regular basis, Sheri lost 127 pounds. Today, at 155 pounds and a size 4/6, she participates in 5K runs and makes time for an hour of cardio and an hour of weight training four to five days a week. While she still looks forward to eating, it no longer dominates her thoughts. It took months for Sheri to train herself to think differently about her needs and how to handle her emotional dependence on food. Today, Sheri feels she has finally found the person she was meant to be. Her sense of self-worth has far surpassed her expectations, and she feels confident in achieving any goal she wishes to pursue. You can watch the video of Sheri on The Today Show here. Amazing - she looks fantastic and is a fantastic inspiration. It's unbelievable, she looks like a completely different person! I love reading such stories (and seeing before and after pictures and videos), they're so motivational! What an inspiring story. I really must start to forgive myself when I have a 'naughty' day. Punishing yourself is only going to make you feel worse than you already do. Hi honey. Another great post! And since you made some changes, your blog is looking good! Wow!! that is amazing!! I love inspiring stories like that. She is beautiful!! Inspiring. Surely I could lose a measly twenty pounds. She looks fabulous. It's so encouraging to know that she did it all naturally too. She makes it all seem attainable. Rachel - I agree. Forgiving yourself is very important (in every area of your life). We are all imperfect and need to be tolerant of our failings. When we fall down, we just have to pick ourselves back up and keep going forward. Irish Mom - I agree! Marilyn - I know what you mean! Me too! Mrs. Bear - I know, she really does look great! I get encouraged reading stories like this. It really is possible!